Candidates interested in the exam may check eligibility criteria, selection procedure, important dates and more details from this page. 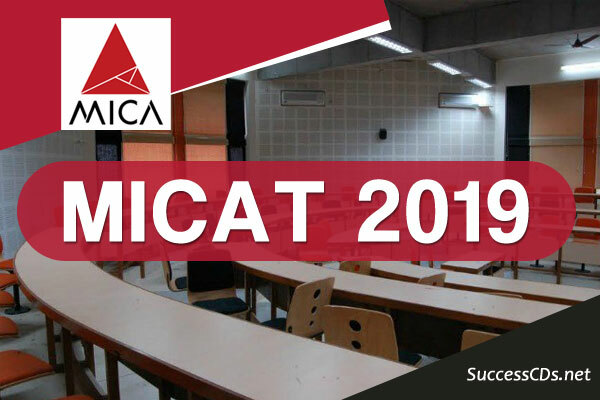 MICA Admissions Test (MICAT) is the online entrance test for MICA's flagship Course Post Graduate Diploma in Management - Communications (PGDM-C). The Program focuses on Strategic Marketing and Communication. The PGDM-C, equivalent to an MBA, has evolved into one of the premier programs in the country, endorsed by 100 per cent campus placements with the best corporate houses in India and in recent times, abroad as well. This program is approved by the All India Council for Technical Education (AICTE) and the Association of Indian University (AIU), which equates it with an MBA degree. MICA’s PGDM-C offers the following specialisations - (i) Brand Management, (ii) Advertising Management, (iii) Marketing Research and Analytics, (iv) Media Management and (v) Digital Communication Management. Admission to the PGDM (C) program requires a bachelor’s degree (10 + 2 + 3 system) or an equivalent qualification in any discipline recognized by the Association of Indian Universities (AIU). Each candidate must have taken at least one of the three exams: CAT/ XAT/GMAT (CAT 2018 / XAT 2019 / GMAT (2017 onwards). Applicants should note that the exam pattern for MICAT-I and MICAT-II will be similar. MICAT question paper will include questions from the areas of media, marketing, advertising, current affairs, etc. All those candidates who appear in GE & PI are considered for the final merit list MUST be RECOMMENDED by majority of the panellists of PI. Keep one receipt with you. Sign the stamped MICA copy of the Pay-in-slip and send it to the Collection Centre at "Admissions Office, MICA, Shela, Ahmedabad-380058"